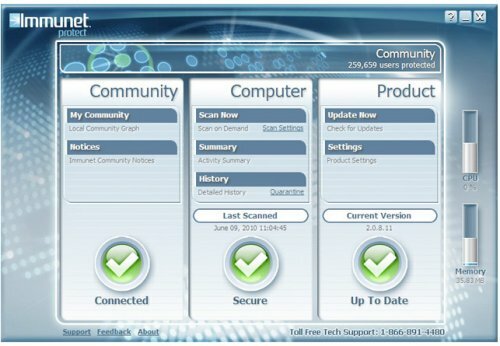 Immunet® is a malware and antivirus protection system that utilizes cloud computing to provide enhanced community-based security. Join the Immunet Community today and help make the internet safer for everyone. 3,536 7,180 Immunet <img src="http://www.oldergeeks.com/downloads/gallery/thumbs/immunet_th.png"border="0"> Jan 22, 2018 - 12:14 6 1.07MB EXE , out of 10 Votes.